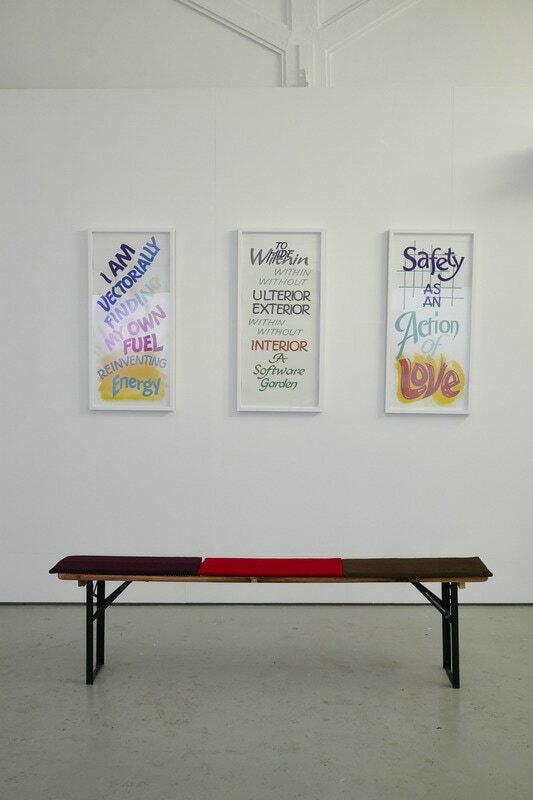 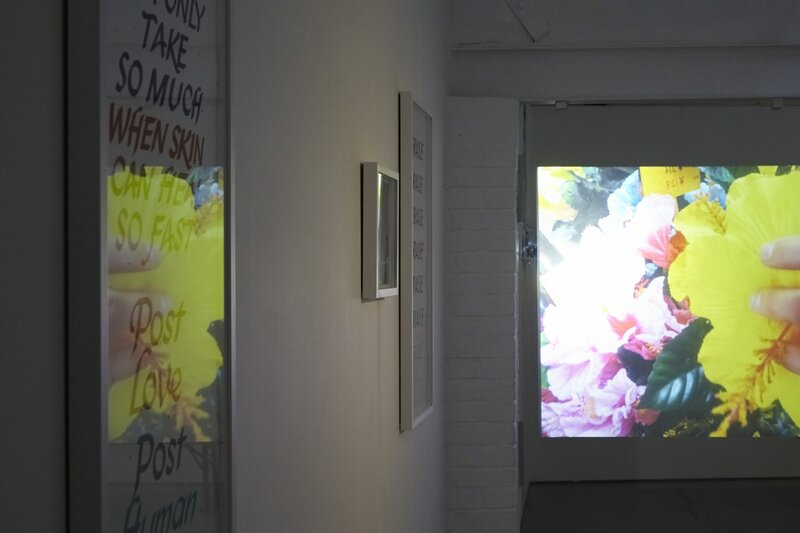 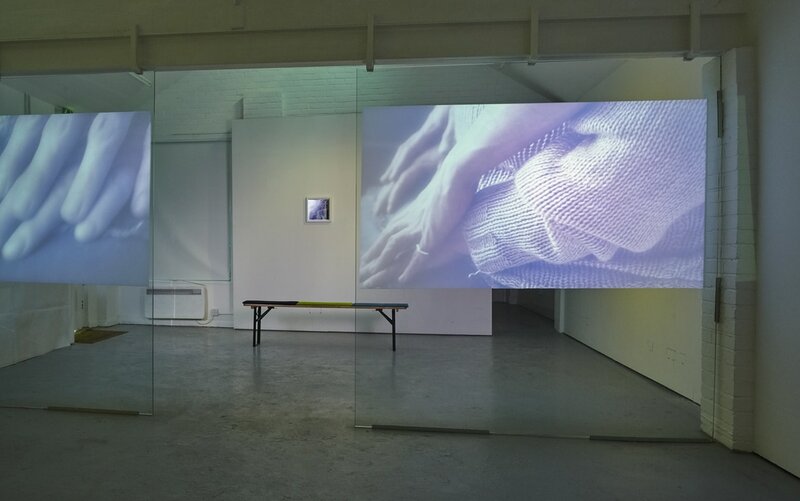 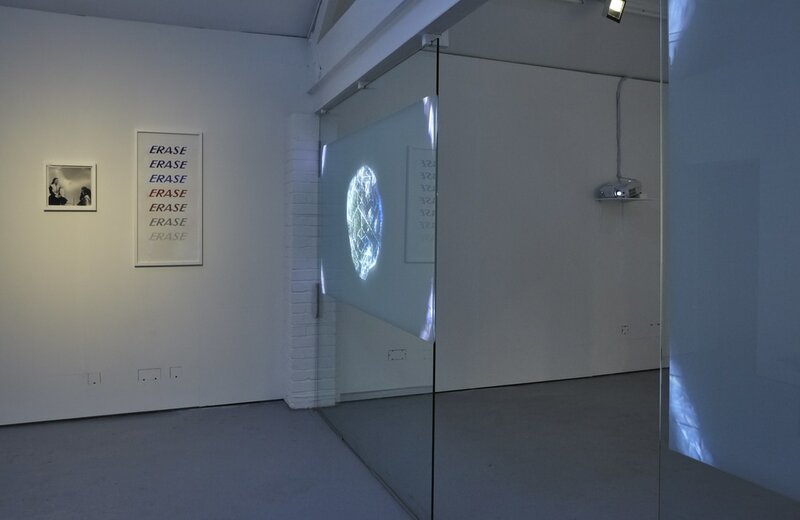 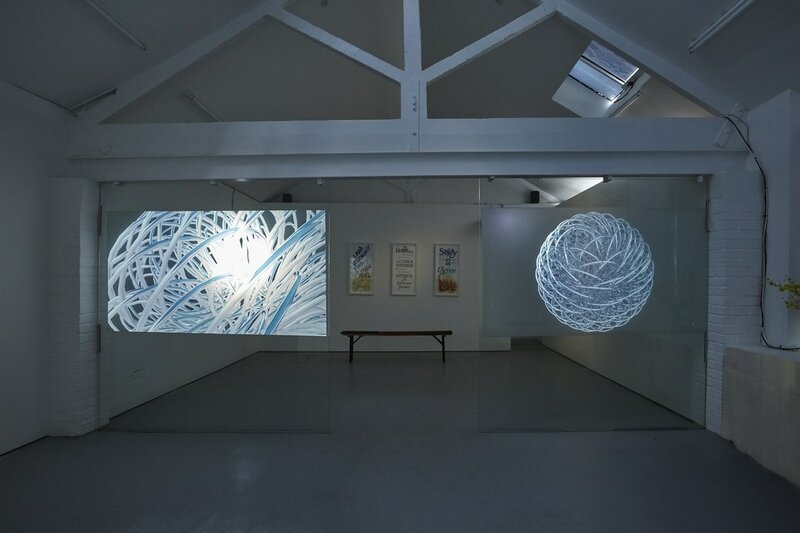 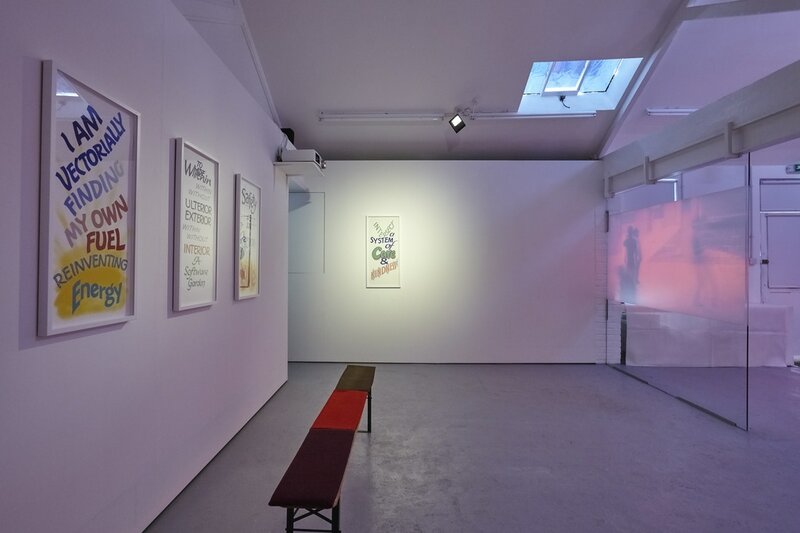 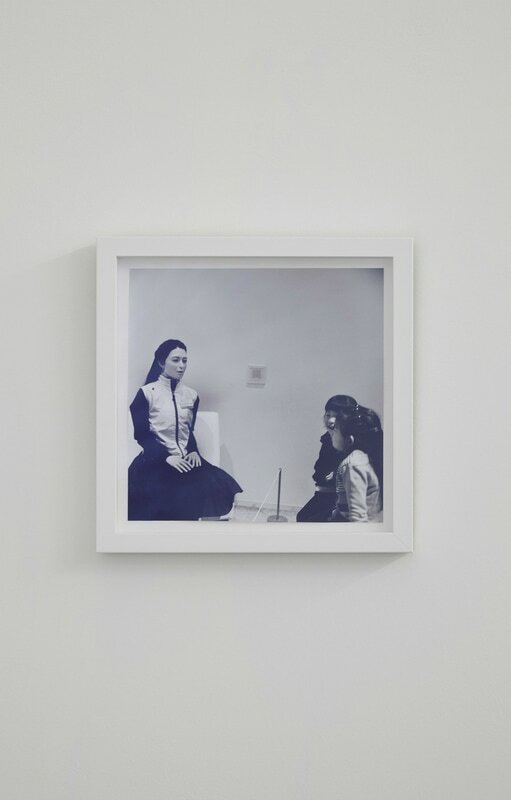 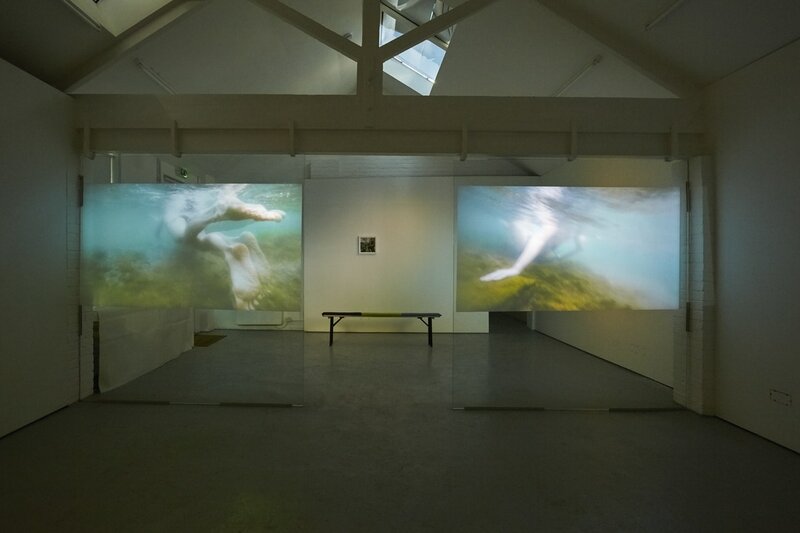 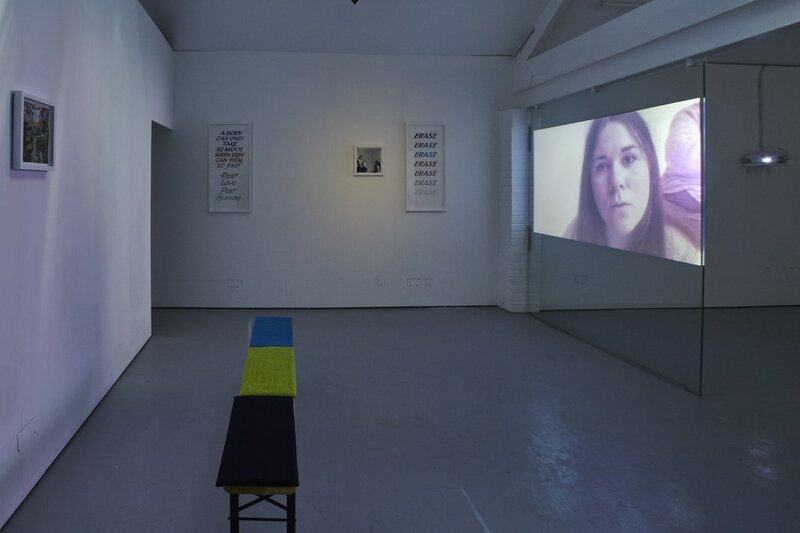 Rory Pilgrim, Software Garden, installation view. 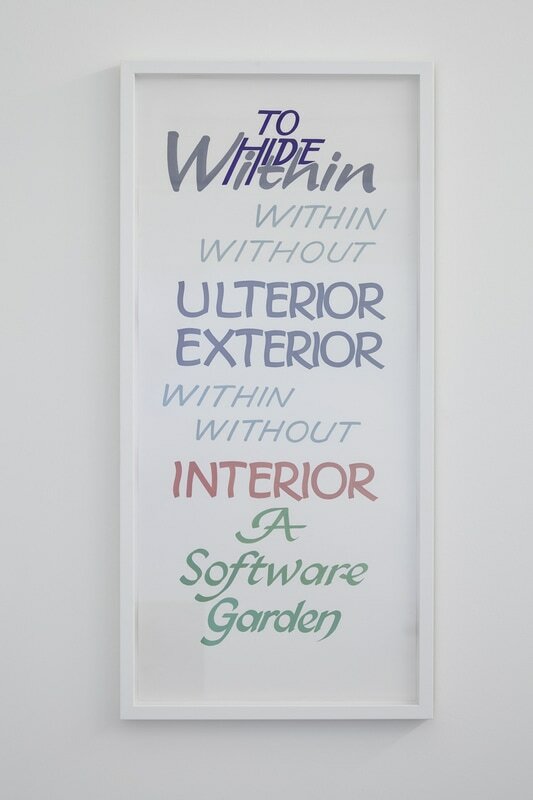 To hide within without ulterior interior, 2017, painted poster, 94.5 x 45 cm. 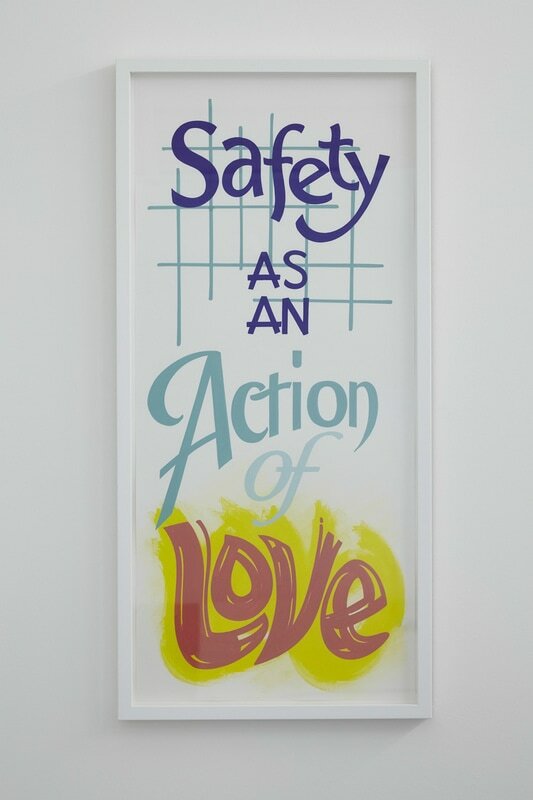 Safety as an action of love, 2017, painted poster, 94.5 x 45 cm. 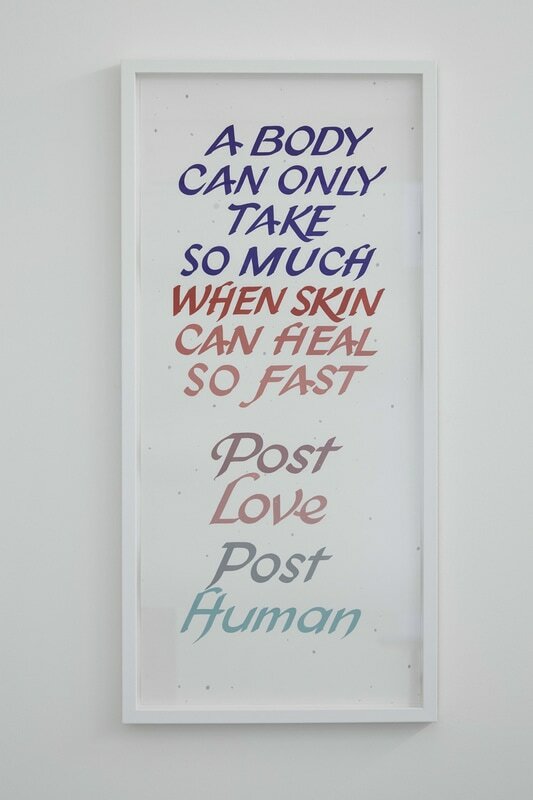 A body can only take so much when skin can heal so fast, 2017, painted poster, 94.5 x 45 cm. 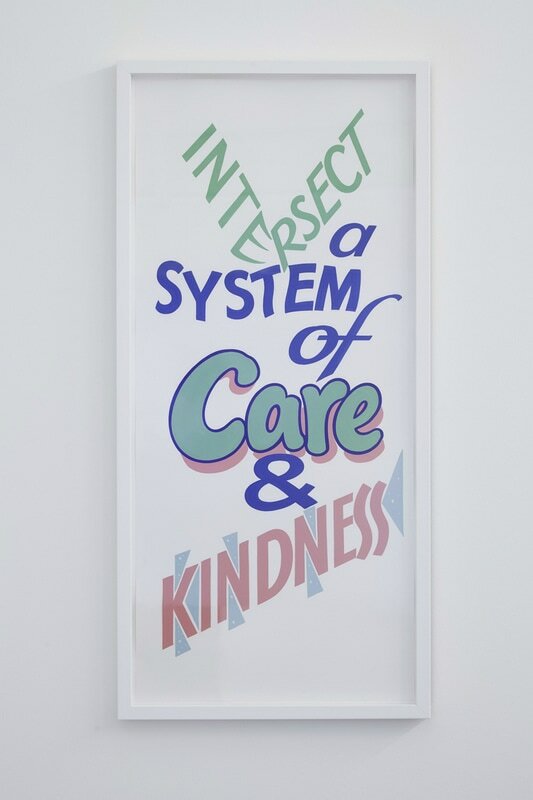 Intersect a system with care and kindness, 2017, painted poster, 94.5 x 45 cm. 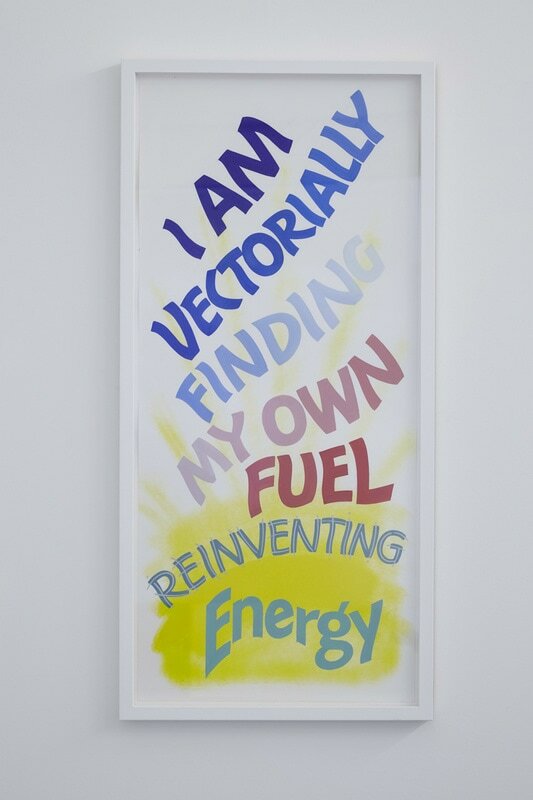 I am vectorially finding my own fuel reinventing energy, 2017, painted poster, 94.5 x 45 cm. 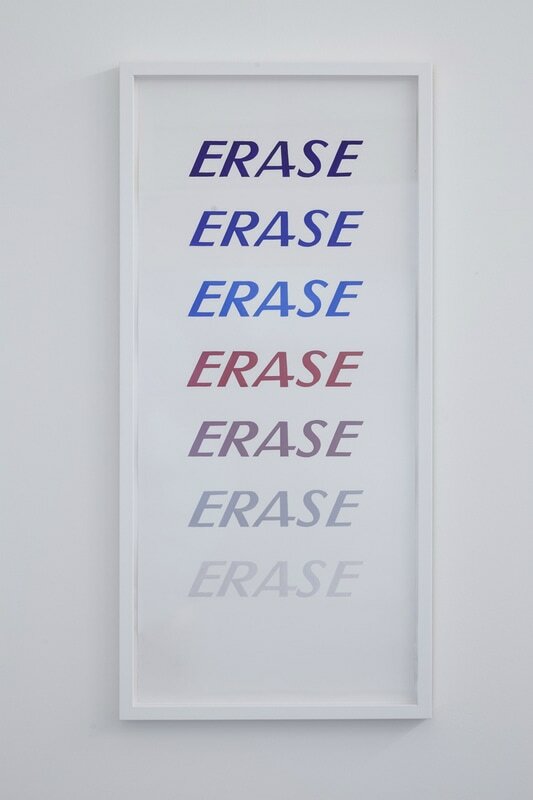 Erase, 2017, painted poster, 94.5 x 45 cm. 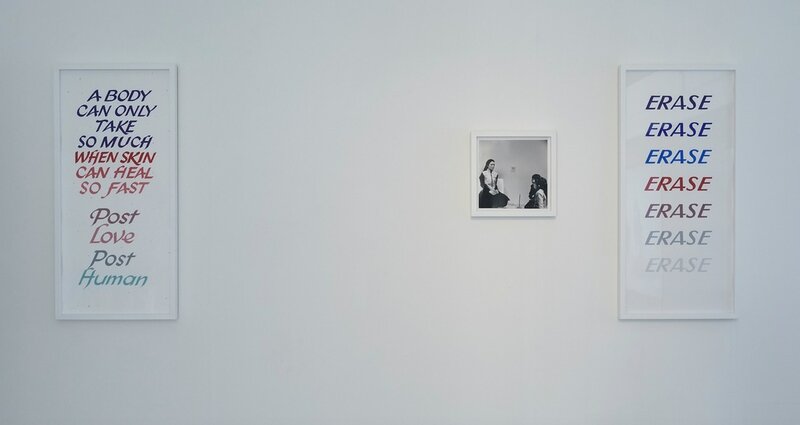 Untitled, 2017, medium format black and white photograph, 31.5 x 31.5 cm. 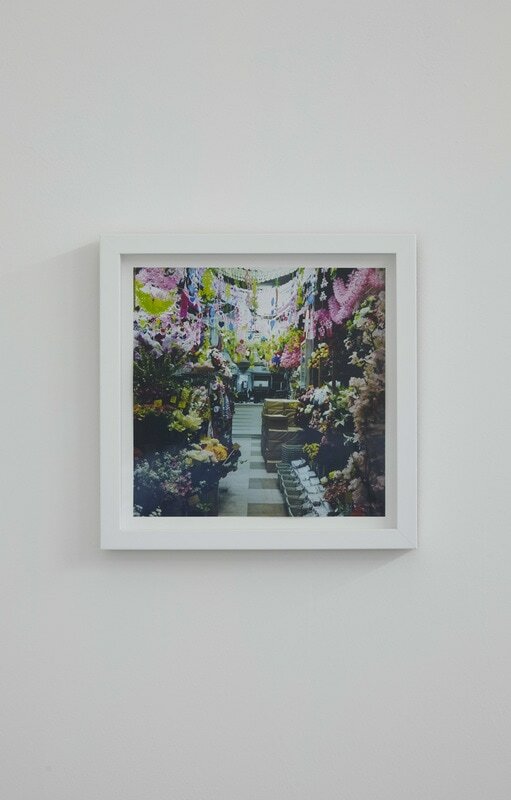 Software Garden, 2017, medium format photograph, 31.5 x 31.5 cm. 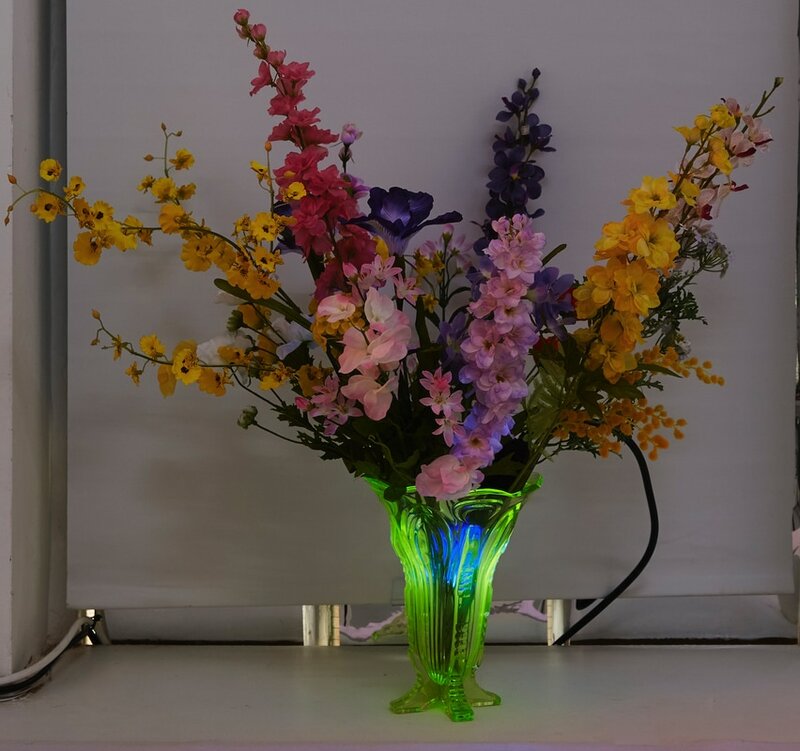 Untitled, 2017, artificial flowers, uv light, dimensions variable. 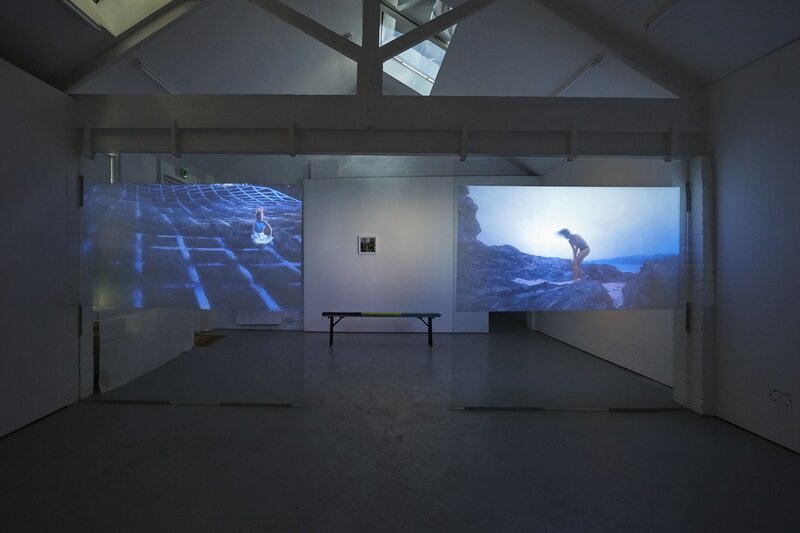 Visit rowing.gallery for further information.